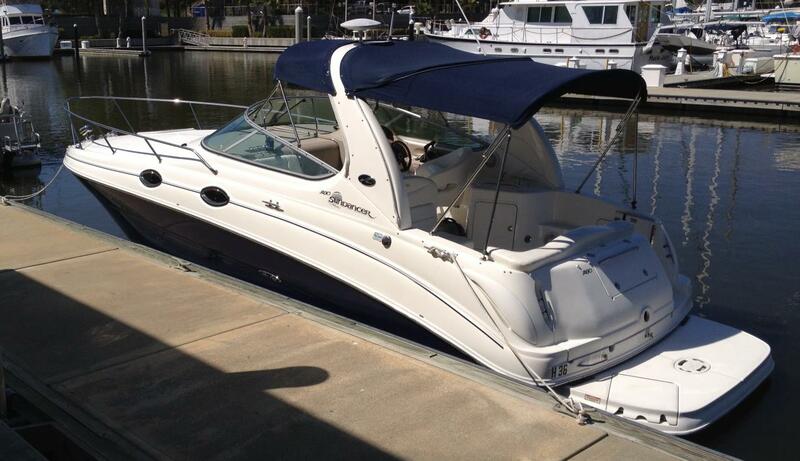 2004 Sea Ray Sundancer 280 Beautiful SeaRay Sundancer 280 for sale. Dry storage only, Never sat in the water when not in use. Meticulously maintained by owner. 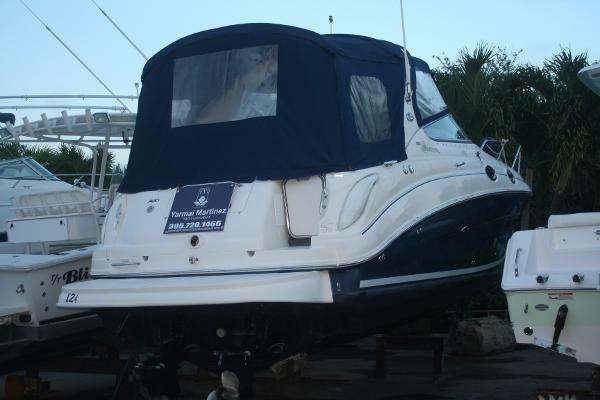 Twin Mercruisers 5.0 Bravo 3R, Kholer 50KW, GPS VHF, Radio, CD, AC. Engine Hours 330 2017 Tune up include new manifolds, new risers, and impellors. 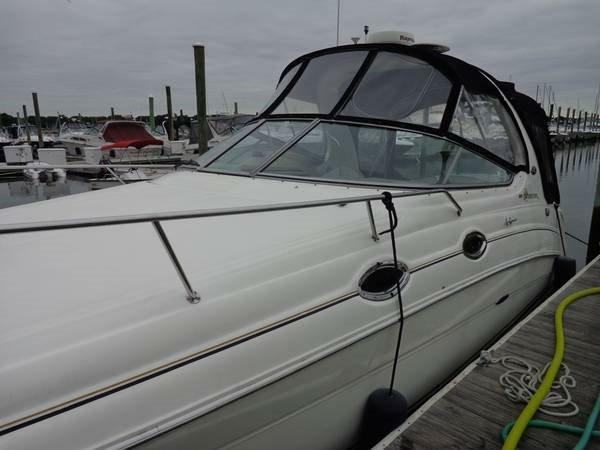 Options: Windlass Trim tabs, Freshwater wash-down, macerator, shower, shore power, rear bench, hot water heater, refrigerator, TV, Swim platform, head, stove, sink, 3 Batteries. 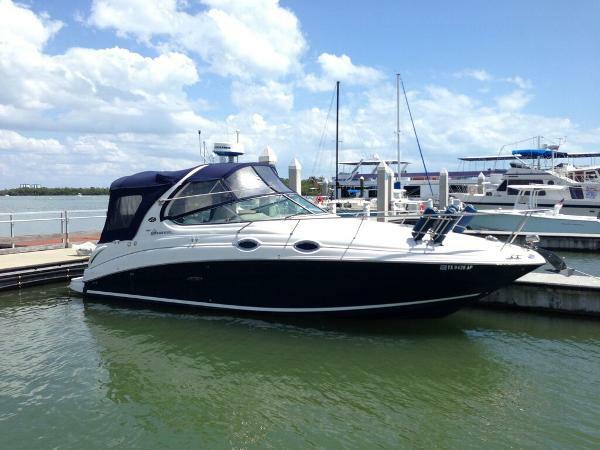 2017 Sea Ray Sundancer 280, This boat can be seen in our showroom! 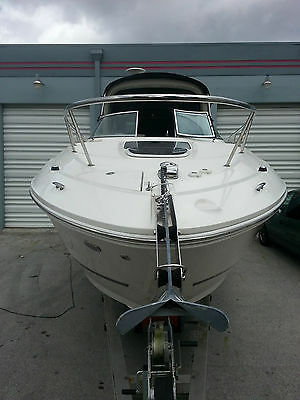 2006 Sea Ray Sundancer 280 This low hour Sea Ray Sundancer 280 sport cruiser ! 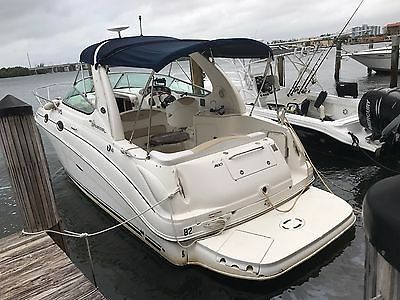 Just step aboard this dynamic 280 Sundancer powered by twin 4.3 MPI Mercruisers with Alpha stern drive Mint boat TURN KEY!!! 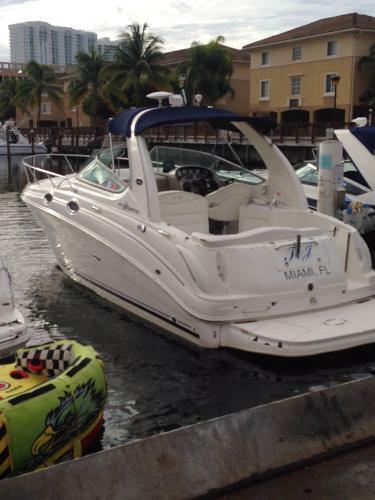 2008 Sea Ray Sundancer 280 Kohler Generator with only 70 hours! 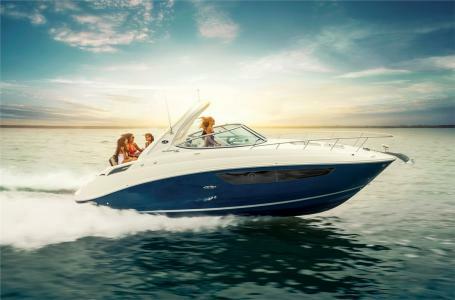 Those looking for a small midcabin family cruiser will find a lot to like in the Sea Ray 280 Sundancer. The styling is crisp-a Sea Ray trademark these days-and the interior makes the most out of available space with berths for four adults (and two kids), decent head room, a full galley, and a V-berth that converts into a second dinette. Built on a deep-V hull with a moderate beam and an integrated swim platform, the Sundancer's curved radar arch is an appealing design touch that's showing up on a good many express boats these days. The single-level cockpit is arranged with a sun pad opposite the helm, an aft-facing bench seat, wet bar, and a retractable rear bench seat that folds up into the transom when it's necessary to get into the engine compartment. A large storage locker is built into the transom, and molded steps at the helm provide easy access to the walk-through windshield. 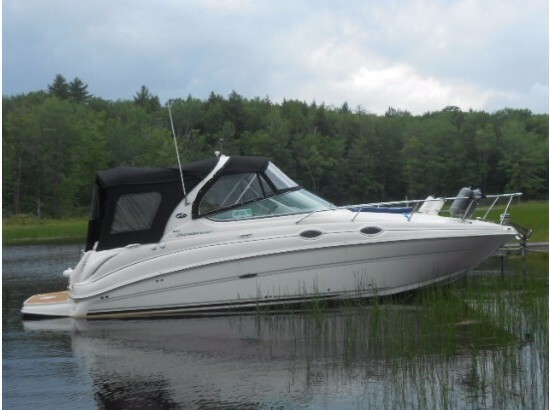 On the downside, the midcabin and head dimensions are fairly small, and the engine compartment hatch is heavy, Powered with twin 260hp MerCruiser sterndrives, the 280 Sundancer will cruise in the mid-to-high 20's and reach a top speed in the neighborhood of 40 knot's. 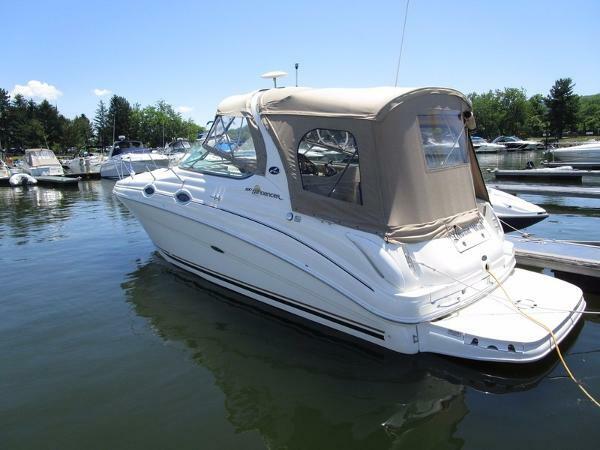 2003 Sea Ray Sundancer 280 2003 Sea Ray 280 Sundancer. It has twin 5.0 MPI with Bravo 3 outdrives. Dual Stainless steel props. 520 hp total. Boat is in excellent condition. 2nd owner. Marina maintained. New water pumps ,gimble barring ,u-joints, bellows ,cables , hoses, and water heater, this year. Sand blasted and repainted out drives All factory options. 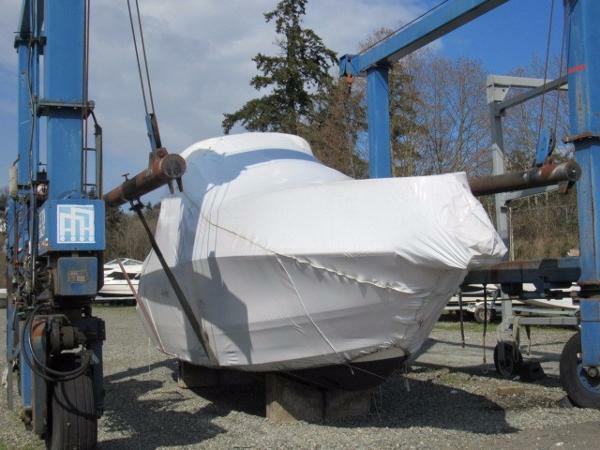 A/C -heat ,Vac flush head, windlass ,TV ,stereo -cd and custom made bed ,Raymarine radar and GPS WE GET EVERYONE FINANCED! CALL JACK NOW! 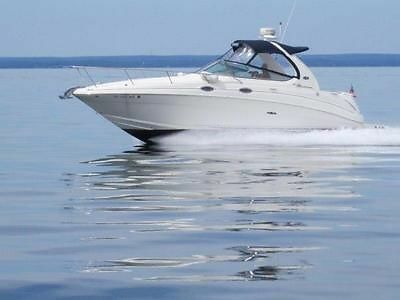 Priced to sell wonderful Sea Ray Sundancer 280 Boat.Contact Info: E-Mail: eliachov@yahoo.com Tel. 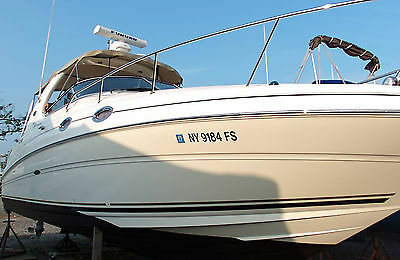 : 646-996-4746Year: 2001Current Price: $39,900Located in Brooklyn, NYEngine/Fuel Type: Twin GasOverall Length: 28 feet 8 inchBeam: 8 feet 10 inchDry Weight: 8211 LbsFuel Capacity: 85 galWater Capacity: 28 galPower: 300hp -- 224 kWSleeps: 4 peopleCondition: ExcellentEngine usage: 450 hoursYacht Highlights:* One Of Sea Rays Most Popular Models Ever* Twin Inboard Straight Drive Mercruisers, 300 hp with 450 hours* Large Comfortable Cockpit* Solid Fiberglass Deep Vee Hull* Sleeps Four In A Forward Cabin And Dinette* Full Galley * Full Electronics Including Radar and GPS* Professionally Maintained. The boat is still available If you see this add !! !A superior deck design on the 280 Sundancer allows seamless transitions from the helm to the cockpit social zone. The pivoting helm seat adjusts to join the cockpit center.No other manufacturer emphasizes the craft of decor quite like Sea Ray. The 280 Sundancer's solid-surfaced countertops, multi-tone vinyl and gleaming fiberglass finishes pop under multiple skylights and hullside windows.Dynamic Running Surface™ automatically optimizes running attitude and trim, delivering incredible stability and performance. Large, triangular planes in the hull create an articulated running surface that improves acceleration, reduces bow rise and keeps the boat at optimal trim, no matter the load.Drop anchor, cue up the playlist and dive into all-day fun with the 280 Sundancer's fully equipped cockpit, sleeping berth and expanded swim platform. Abundant under seat storage, including a designated spot for a cooler, packs away everything you need so the deck is clutter free for friends and family.